The CEM-System (Controlled Evaporation and Mixing) is an innovative Liquid Delivery System (LDS) that can be applied for atmospheric or vacuum processes. 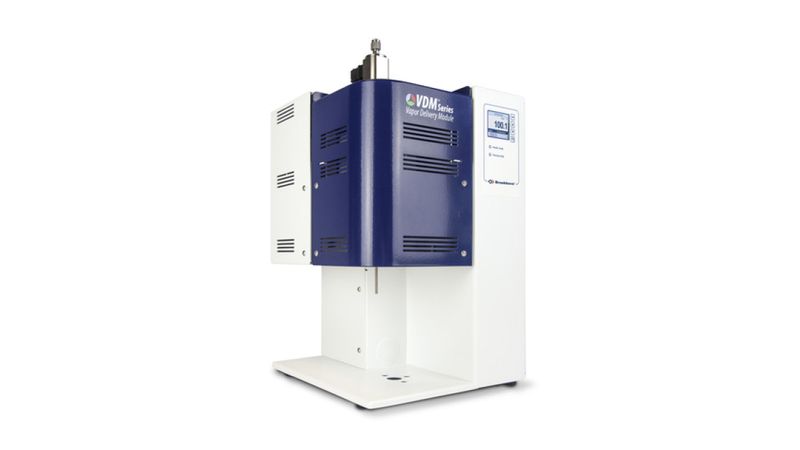 The vapour generation system consists of a liquid flow controller, an MFC for carrier gas and a temperature controlled mixing and evaporation device. The system is suitable for mixing liquid flows of 0,25-1200 g/h resulting in saturated vapour flows of 50 mln/min up to 100 ln/min. This vaporizer system can replace bubblers. New opportunities created with the CEM-system: mixtures can be evaporated and even solids, dissolved in solvents can be vaporised successfully. The evaporation system is fast, accurate, highly repeatable and efficient.